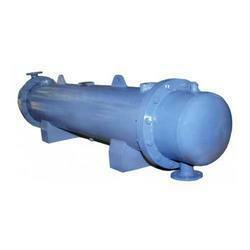 We manufacture superior quality Shell and Tube Oil Coolers as well Finned Tube Oil Coolers with Inbuilt Fan. 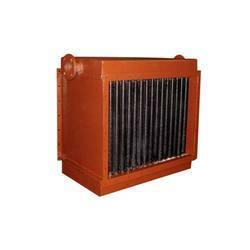 Oil Coolers are highly efficient and ensure effective heat transfer. Our Oil Coolers can be customized as per requirement. 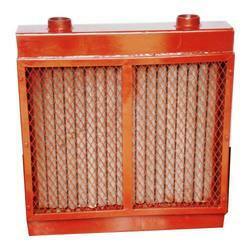 The Finned Tube Oil Coolers with Fans are used where air is used as cooling medium. Oil coolers find application in Diesel Engines, Marine, Plastic Processing Machinery, Die Casting Machines, Hydraulic Power Packs and in many other Industrial applications. 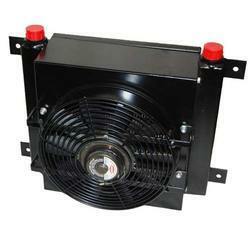 We are highly appreciated in the market for our exquisite collection of Air Cooled Oil Coolers. 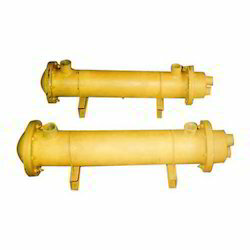 These Air Cooled Oil Cooler are specially designed by our professionals for cooling the hydraulic oil from machines. The products we are offering are developed using excellent quality components and raw material that are sourced from authentic vendors. All our Air Cooled Oil Cooler products are widely appreciated by the patrons for giving remarkable performance for longer period. With our expertise in this domain, we are able to offer a superior quality range of Air Cooled Oil Coolers. 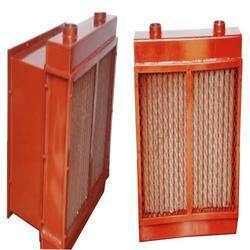 The offered coolers are designed for cooling the hydraulic oil from machines. Our coolers find their wide applications in industries with various types of machines. Moreover, these oil coolers can be availed by the customers in different designs & specifications depending on the process their requirements. Oil Coolers fitted with an Inbuilt Fan. 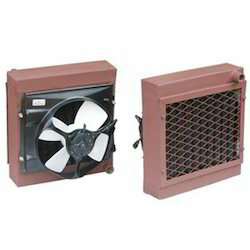 The Oil Coolers with Fans are widely used in the area where water is not available for cooling purpose. With the aid of our qualified engineers, we have been capable of providing Oil Coolers to our customers. These Aluminium Oil Coolers are developed using latest engineering and advanced technologies. Customers can avail these products at industry leading prices and also in varied specifications drawn by the customers. Moreover, our Aluminium Oil Coolers are widely used to expend heat from a hotter object by the continuous circulation of oil through a cooling unit. Owing to our experience, we have been successful in catering to the requirements of our esteemed clients by offering quality range of Hydraulic Oil Coolers. These are manufactured using optimum grade raw material and cutting edge technology. The offered Hydraulic Oil Coolers guarantees effective heat transfers. 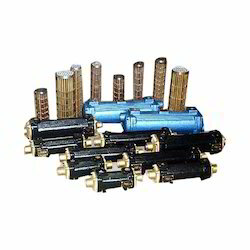 Our Hydraulic Oil Coolers are widely used in hydraulic engines and power packs. With the aid of our qualified engineers, we have been capable of providing Aluminum Oil Coolers to our customers. These Aluminium Oil Coolers are developed using latest engineering and advanced technologies. Customers can avail these products at industry leading prices and also in varied specifications drawn by the customers. Moreover, our Aluminium Oil Coolers are widely used to expend heat from a hotter object by the continuous circulation of oil through a cooling unit. 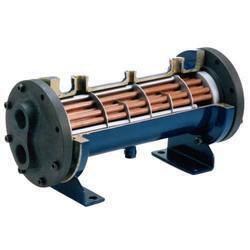 We hold specialization in manufacturing a quality range of Turbine Oil Coolers. 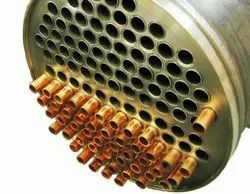 These Turbine Oil Cooler are designed and manufactured under strict the vigil of our professionals. 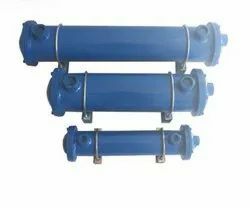 The offered Turbine Oil Cooler are widely used in marine related sectors, diesel engines, hydraulic power packs, and plastic machinery industries. Moreover, clients can avail these coolers from us at market-leading prices. 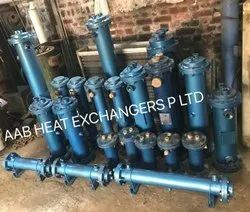 Shell and Tube Type Oil Cooler Heat Exchangers. Plastic Moulding Machine Oil Coolers / Aluminium Die Casting Machine Oil Coolers / Power Pack Oil Coolers/ Lube Oil Coolers / Hydraulic Oil Coolers/ Turbine Oil Coolers /Engine Oil Coolers / Transmission Oil Coolers/ Compressor Oil Coolers / Marine Oil Coolers / Water Cooled Oil Coolers / Process Oil Coolers/ Cutting Oil Coolers / Gear Oil Coolers/ Tube Oil Coolers / Shell Oil Collers / Water Cooled Heat Exchangers /Water to Water Cooling Heat Exchangers. Customisation available as per Process.